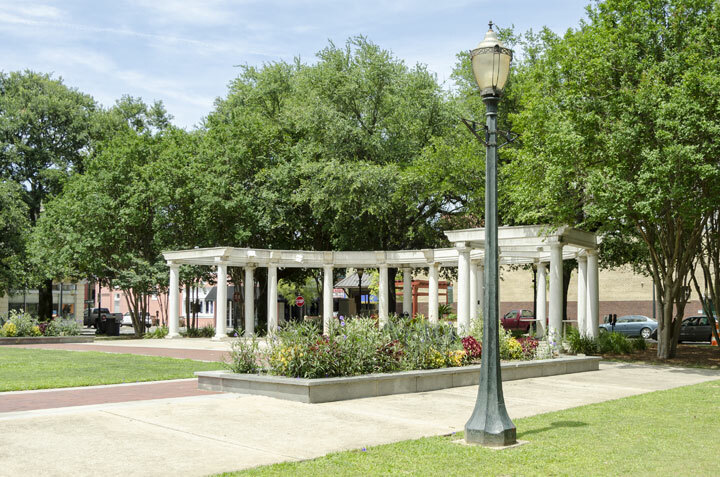 A social crossroads and a center of the Mobile arts community, Cathedral Square is bordered by the streets of North Claiborne, Dauphin, North Jackson, and Conti. 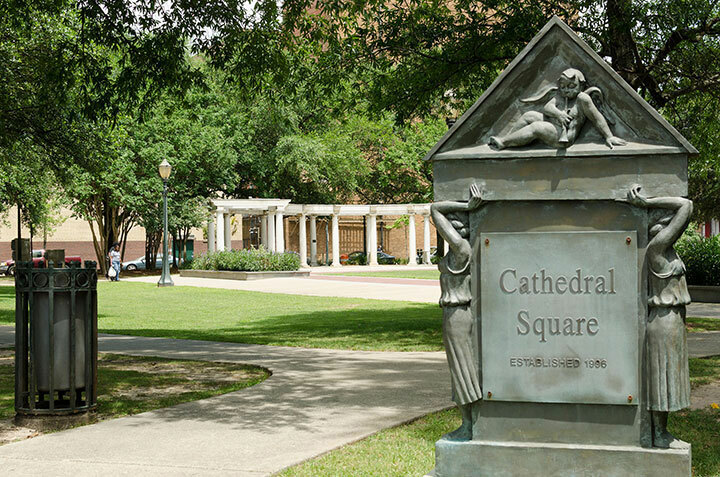 At one time what is now Cathedral Square was part of Mobile’s 18th century Catholic cemetery, the Campo Santo. 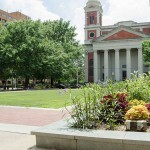 The park features a layout that mirrors the neighboring Cathedral of the Immaculate Conception. 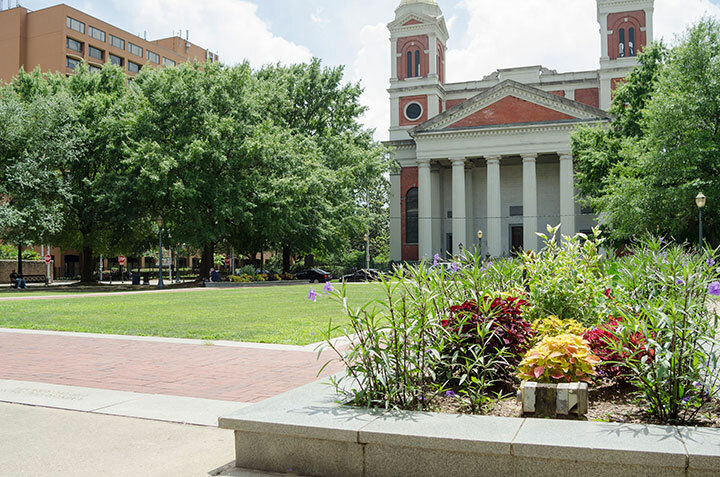 The brick sidewalks mirror the walls and nave of the cathedral while a semicircular colonnade featuring fountains mirrors the apse. 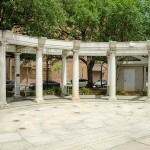 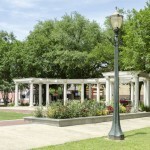 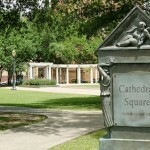 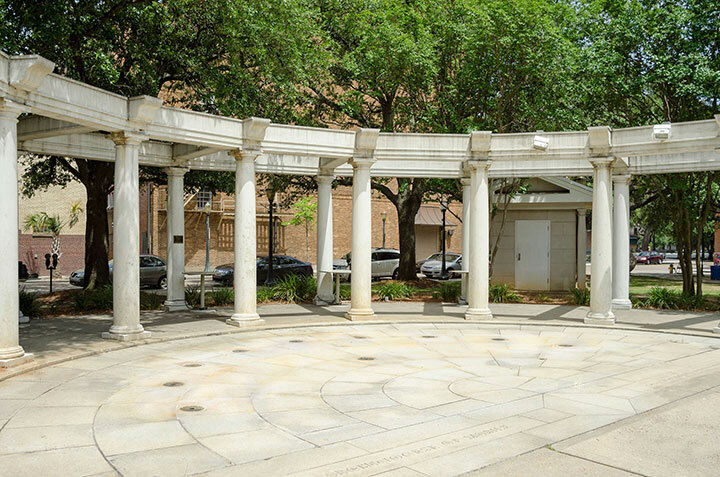 Cathedral Square Park is host to numerous cultural events, and is the focal point of Mobile’s Artwalk celebrations.